Before you purchase a new Thermal Rifle Scope, read my detailed review of the 2 top Rifle Scopes for 2018. These are still good quality rifle scopes & are probably cheaper than the 2019 brands. Because everyone wants to purchase their Rifle Scope On sale, I’ll try to provide you with at least 2 options of where you can get the best price. You’ll find them at the end of each review. Quite often, one of them will be having a sale so make sure you check both. The THOR 640, made in the USA, is used by Avid Hunters, SWAT Teams, Military & especially those who like entering Hunting Competitions. The Thor Thermal Imaging Scope can also be used as a weapon scope or handheld viewer. If you’d like to capture your nighttime operation on video, it has a video-out connection. If you’re an AVID HUNTER or thinking about entering a HUNTING COMPETITION, this is a great scope to have. 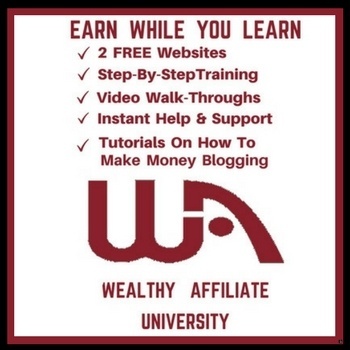 I’ve listed the main features for you below. Hopefully this will help make your decision a little easier. 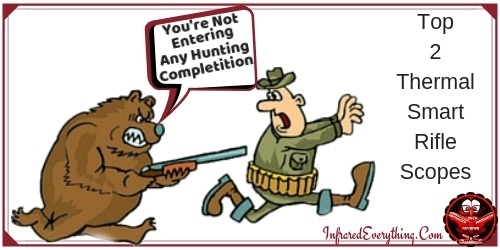 You can detect your target through total darkness, fog, smoke, camouflage or bright lights. Always holds 0 as it has no screws or springs to create errors. Being all digital it can’t move off base. You can use the color OLED display or the full color mode & overlay it with either black, red, blue, or a white reticle. I’ve read several reviews on different websites. The following are what the majority of people are saying. When I was searching for negative reviews on the ATN Thor 640, I could only find the following two. This rifle scope if fairly new. 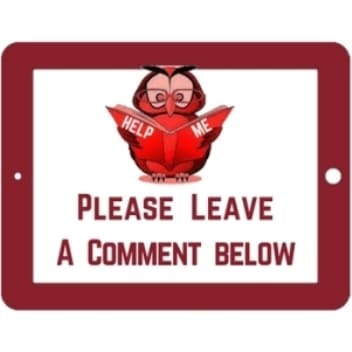 I will check back once in awhile & if I find anything negative on it, I will list it here. Thought it was a bit heavy. 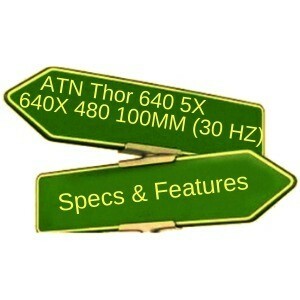 At the time of this writing, the ATN Thor 640 was the same price at both Amazon & Optics Planet. Do try them both. One of the companies below could be having a sale. If you don’t need all the Bells-And-Whistles, ATN has cheaper options at both Amazon & Optics Planet. 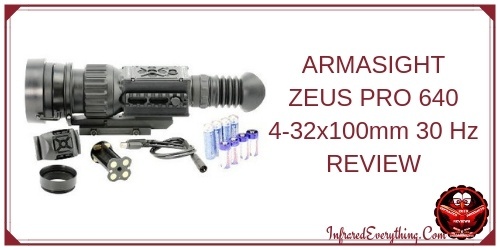 This Armasight Zeus Infrared Rifle Scopes, made in the USA, is my number two pick for thermal rifle scopes in 2016. I picked the 30hz rather than the 60 to review as, to me, the 30hz had a clearer picture. You do have the option of purchasing the 60hz if you want. Sometimes, more expensive isn’t better. This thermal scope can also be used as a hand-held monocular. Once again, I’ve listed what the majority of people were saying. Thought the scope was a bit on the heavy side. As of the time of this writing, Optics Planet was the same price as Amazon. Both Amazon & Optics Planet have sales on their Rifle Scope from time to time so it’s a good idea to check both. 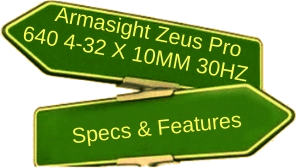 If you don’t need all the Bells & Whistles, Armasight has cheaper options at both Optics Planet & Amazon. 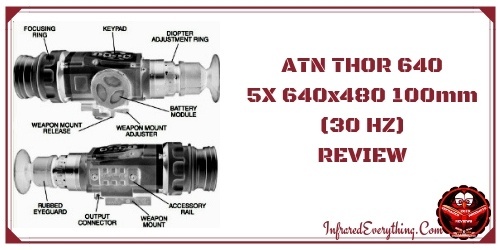 If you watch the videos of the ATN Thror 640 & the Armasight Zeus Pro 640, you’ll get a pretty good idea of how it operates & the quality of the picture. To read my 2017 detailed review on, Best Rifle Scope, click on the link below. Although everyone has different tastes, we are very interested in what you have to say. If you have purchased the ATN Thor640 5x or the Armasight Zeus Pro 640 4, please let us know what you liked & disliked about it. Not only will it help us, at Infrared Everything, it’ll also help our viewers. We want to give everyone as much info as possible, to help make their decision a little easier. Thanks for stopping by our Rifle Scope Reviews.